After several days travelling started on 25 May 2011, only today I have a chance to update about our team journey to 7 countries started from Malaysia, Thailand, Cambodia, Vietnam, Laos, China and Myanmar. The first day day we departed, only 10 4x4 be able to enter Thai boder at Wang Kelian. 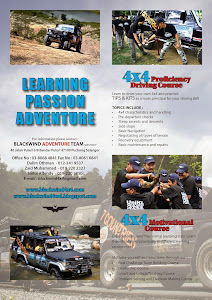 We have to leave 1 of our 4x4 at Wang Kelian due to major broke down. We proceeded the journey and the 1st destination is Satun, Thailand and we have arranged a meeting with the local people and school to delivered some donation from Malaysian. The total journey is 700km. 2nd day of JWJ2, 27th May 2011, we continue the journey to Trang, we plan to take our first night at the hotel at Trang. We reached at the hotel at almost midnight after driving for more than 900 km. we must continue the journey as early as 6 pm local time on the next day.